The three winning high school students will be treated to a bevy of design-related prizes. On May 18, the FCA design office selected three students to be winners for the 2018 Drive for Design competition. The objective for participants in this year's contest, open to high schoolers across the U.S., was simply to draw up how they imagine the 2030 Jeep Wrangler may look. 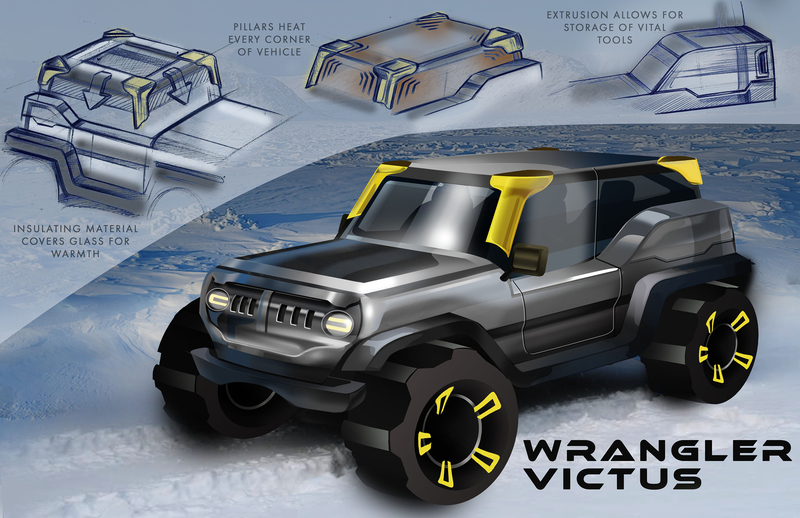 Two of the winning sketches, each from students at Design and Architecture Senior High in Miami, Florida, shared many design cues with the present Wrangler. Eduardo Cret's "DJ" design replaces the classic round headlights with ones that more closely resembles a modern Cherokee, and the classic seven-slot grill appears to have been ditched for an LED display similar to what would be found on a sound mixer. Emily Bryson's "Wrangler Victus" sketch shows the unique feature of a glass canopy in place of the Jeep's fabric or metal roof. 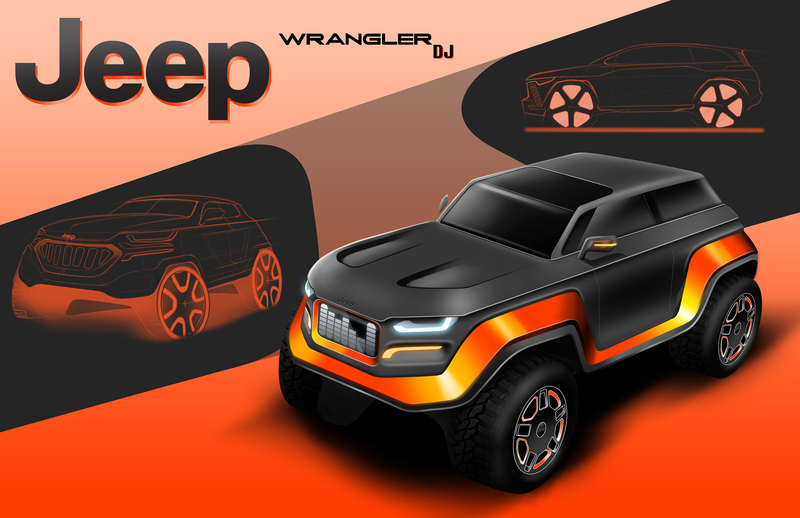 The third-place design, from Jinho So of Canisius High School in Buffalo, New York, throws out nearly all of the current Wrangler's styling. Instead, this sketch opts for a much more curvy, aerodynamic-looking body. As prize winners, these three students will be able to take a tour of the FCA design studio and interact with the designers themselves. They've also earned passes to a two-week automotive design course at Lawrence Technological University, tickets to the "EyesOn Design Automotive Design Exhibition" in Gross Pointe, Michigan, and each will receive a Wacom MobileStudio drawing tablet worth nearly $3,000.